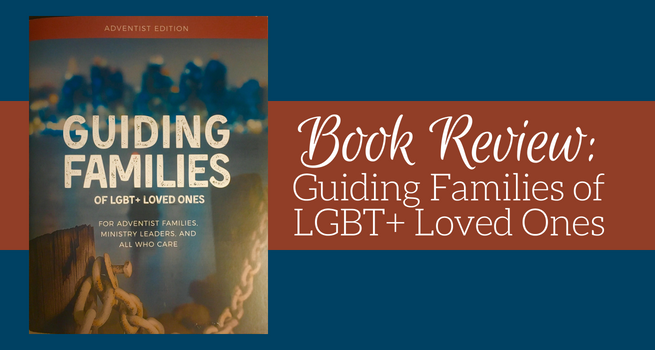 The new 71-page booklet from the North American Division of Seventh-day Adventists titled Guiding Families of LGBT+ Loved Ones, provides the most compassionate response to LGBT+ Adventists ever published by the denomination while still maintaining the church’s position. The booklet is the Adventist edition of material prepared by Bill Henson, founder of Lead Them Home, along with Adventist contributors and the NAD Commission on Human Sexuality. The booklet identifies several groups that are the intended audience: Parents, Families, Friends, Pastors and Teachers. It identifies the posture — the way we communicate the Good News in our lives as making all the difference. To love others is to live out God’s truth. When we fail to love, we misrepresent God (who is love) to those He desires to reach. The introduction shares eight important signposts along the pathway based on findings from the Adventist study produced in 2017 (VanderWall, Sedlacek, and Lane) and proposes that the Church shift our focus from causation to compassion. An extensive glossary of terms provides a basis for the material that follows. While many may assume that the Church and its leaders expect them to reject or respond harshly to a person who “comes out” as LGBT+, it is stated that “to the contrary pastors, teachers and the NAD are calling members to walk lovingly and patiently with LGBT+ young people. A Q&A based on the Adventist study provides insights on both the negative and positive ways to deal with Adventist LGBT+ members. Common questions and appropriate responses are shared along with principles for a healthy faith and sexuality conversation. Probably the most surprising part of the booklet for me was the section regarding dealing with a loved one’s partner and the impact it can have long-term on family relationships. A very informative section on transgender and other identities will probably be very educational for most of those who read this booklet. Parents are encouraged to find trusted supporters who are committed to walk with them on this journey following the self-disclosure of a transgender child. It is my hope and prayer that new conversations will result from the study and implementation of these concepts in the Church. Dave Ferguson is Director of Church Relations for Seventh-day Adventist Kinship International. Seventh-day Adventist Kinship International has been helping Adventist LGBT+ members, their parents, pastors and teachers navigate the journey of faith and acceptance for nearly forty years.